Physalis is a group of plants best known for its Chinese lantern (Physalis alkekeni), tomatillo (Physalis ixocarpa) and husk-tomato (Physalis pruinosa) varieties. Physalis is grown for both its ornamental features and its fruit, which is harvested in the fall. 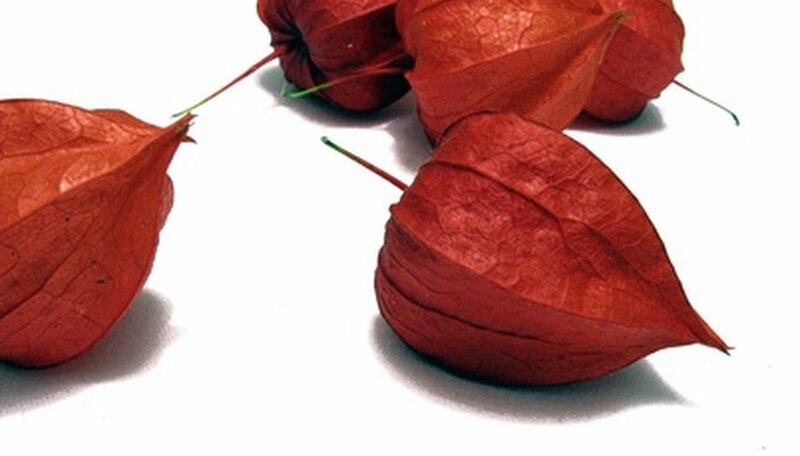 Chinese lantern is harvested after its lantern-shaped fruits turn an orange color and is used in fall decorations. Tomatillo and husk-tomato fruits are harvested for culinary purposes, including for use in salads, desserts and jams. Choose a planting site in full sun or partial shade, which equates to four or more hours of sunlight per day. Till the soil with a hoe or tiller to loosen it to a depth of about 4 to 6 inches. Phyalis tolerates most soil conditions and soil does not usually need any amendments, such as compost or sand. Scatter the seeds seven to 14 days after the last expected spring frost, and work them into the soil about a 1/2-inch deep. Or, start the seeds indoors in seed trays six weeks earlier and transplant outdoors, usually about 2 to 3 feet apart. Water seeds slowly with an inch of water. Continue to water one to two times a week to keep the soil slightly moist from spring until fall. Thin seedlings once they begin to grow so they are spaced about 2 to 3 feet apart, which differs among varieties. Keep the healthiest seedlings. Cut physalis to the ground in the fall after the first frost. They are usually hardy down to USDA Plant Hardiness Zone 2 and will grow back in the spring.